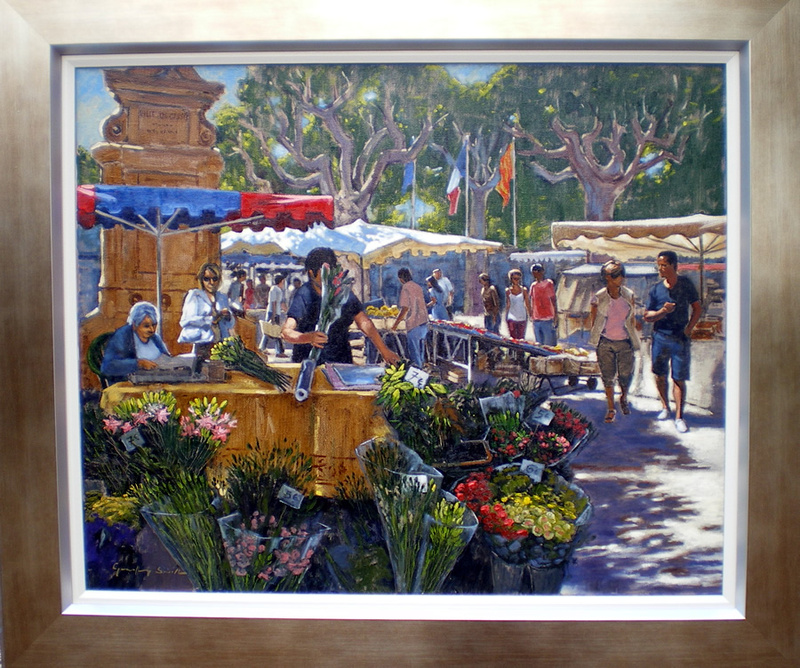 Overall size including frame: 70 x 81cms 27.5" x 32"
A compelling scene to paint! Lots going on - the sunlight picking out bright colours contrasting with cool interesting shadow shapes, people moving around browsing, some standing and looking, others in conversation. I made lots of rapid sketches and settled on the flower seller as my main focus.